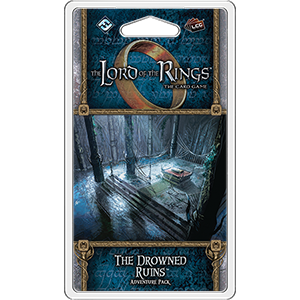 The Drowned Ruins expansion for the Lord of the Rings TCG from Fantasy Flight Games introduces deadly Underwater locations and the monsters that live within them. 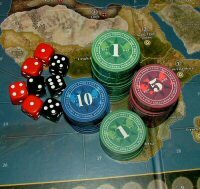 Additionally, the Adventure Pack’s sixty cards also introduce a new Silvan Lore hero and three copies each of nine different player cards that reinforce the Dream-chaser cycle’s focus on cards that exist within one sphere of influence but offer bonus effects if you can pay for them with another sphere. Moreover, the pack and its cards offer a healthy dose of new Silvan-themed cards, including new Scout and Warrior allies. Finally, you’ll find new cards for your favorite Hobbit, Dúnedain, and Trap decks, as well as a new Title attachment to support any Secrecy deck built around playing with two or fewer heroes.